Manchester City has been heavily linked with Real Madrid maestro Isco Rodriguez. If Pep Guardiolla can manage to sign that boy then Manchester City will be a force to reckoned. 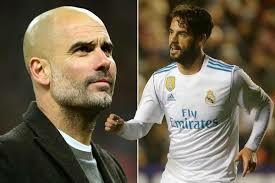 Please Pep Sign Isco for us then our team will be a force to be reckoned....He is marvelous to watch.